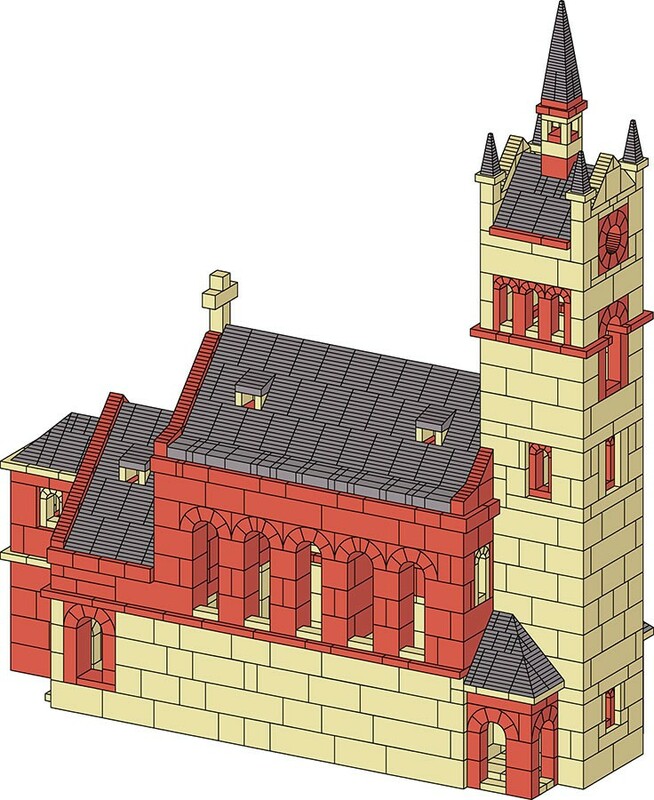 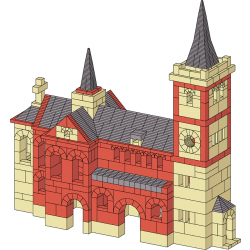 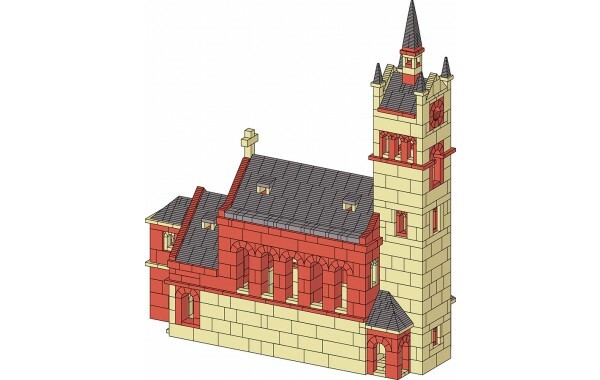 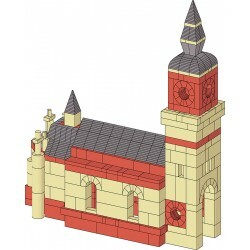 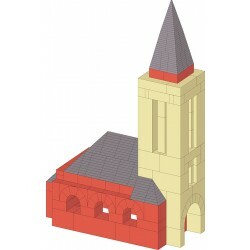 An architectural plan for the Kleinkorbetha church in the district of Weissenfels includes elevation and sectional drawings. 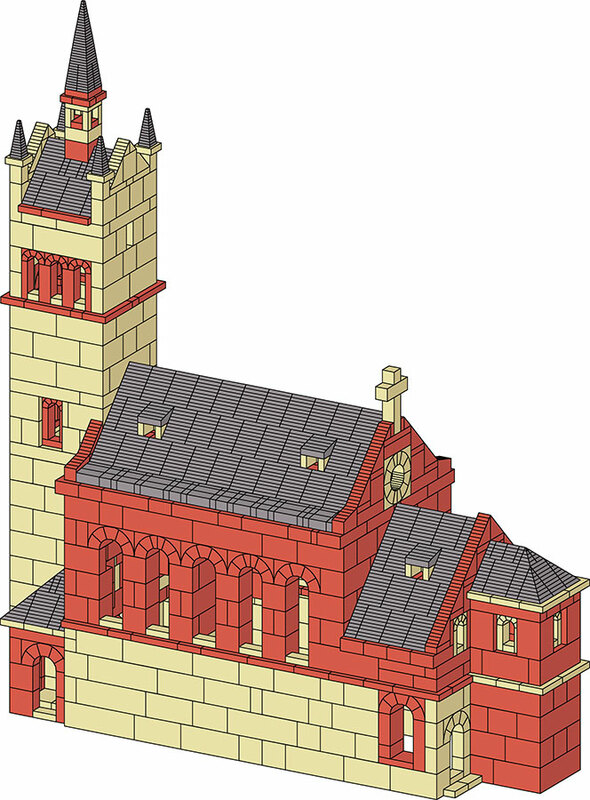 The interesting design places the main portion of the building on a fortified platform. 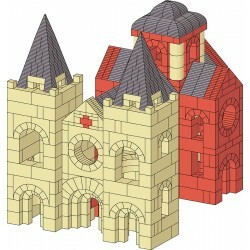 The entrance is through the bell tower at the front.